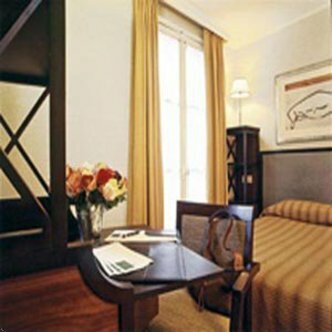 Des Nations Saint Germain Hotel is centrally located, 10 minutes walk from Notre Dame and Pantheon, in front of the Roman Arena de Lutece,in the heart of the Latin Quarter and Faculty of Sciences Jussien, Sorbonne. The hotel is decorated with a fashion theme, ideally located close to many tourist attractions and situated a short travel to business districts in Paris. The rooms are comfortable for travelers and businessmen.